When it comes to rewards credit cards, the average consumer has hundreds of options. Despite this, however, a few quick internet searches of the best cards will show you that some banks are simply better at rewards than others. For instance, any list of the best rewards cards will likely include at least one card from Chase. And, if that list is about cash back rewards cards, well, you’ll more than likely see the Chase Freedom Unlimited® featured prominently. As great as Chase’s rewards cards can be, however, they’re not the easiest to qualify for — and the Chase Freedom Unlimited® is no exception. Not only will you need a decent credit score, but you’ll run into a number of other important approval factors, as well. Credit scores are important. Your credit scores — and the credit profiles they represent — can and will impact your ability to get approved for new credit, as well as influencing how much credit you’re offered and the interest rates you’re charged. Unfortunately, most credit card issuers don’t offer a lot of information about what credit scores they actually want to see — and what scores they don’t. When it comes to the Chase Freedom Unlimited®, Chase only says that the card is intended for consumers with good to excellent credit — which is only mildly helpful. So, we have to rely on user-reported data points to get an idea of which credit scores will actually get you approved. According to the reviews, most approved applicants had a credit score of 680 or higher — but some cardholders report being approved with credit scores in the low- to mid-600s. As one might expect, the approved scores reported for the Chase Freedom Unlimited® are similar to those reported for its sibling card, the Chase Freedom®. This seems to reinforce the idea that a 680+ credit score is the “safe” zone, while lower scores can occasionally be approved. Of course, your credit score isn’t the only part of your credit profile that Chase will evaluate when making an approval decision. The bank will look at your entire credit profile, including your payment history, current accounts, hard credit pulls, and existing balances. So, not only will your credit score matter, but all of the factors that go into your credit score will also play a role. And, while Chase has been reported to favor Experian credit reports for its credit checks, you really can’t predict 100% which credit bureau will be queried when you apply. In fact, some reports indicate that Chase may actually pull multiple credit reports, meaning you’ll need all of your credit reports to be in good shape before applying for a Chase Freedom Unlimited®. All in all, so long as you have a credit score above 680, you probably won’t need to worry about being denied a Chase Freedom Unlimited® simply for having a low credit score. However, if you have multiple credit cards, your credit score may be the least of your concerns when it comes to getting a new Chase card. The special offers that show up in your existing Chase account may be one way to bypass the 5/24 limits. That’s because of Chase’s infamous 5/24 Rule. In essence, the rule dictates that you can’t be approved for a new Chase credit card if you’ve opened five or more credit card accounts within the last 24 months. This applies to opening Chase credit cards as well as opening credit cards with any other bank. Nearly all Chase branded and co-branded credit cards are subject to the 5/24 Rule, including the majority of the bank’s business credit cards. At one point, users had found several ways to get around the Rule, but most of those methods have ceased to work. These days, the only way users have confirmed to get around the 5/24 Rule — besides waiting until you’re no longer in violation — is to hope you get a special “Selected for You” credit card offer from Chase. These offers occasionally show up for existing Chase customers in the online banking center, so you’ll need a Chase bank account or credit card to qualify for an offer. Your income: Next to your credit history, your income is probably the most important factor that issuers use to determine your approval and credit limits. Legally, issuers are obligated to make sure you can afford the monthly payments for any credit line they offer, so if you don’t have enough reported income to handle even the minimum credit line for a Chase Freedom Unlimited®, you’ll likely be turned down. Your history with Chase: Even before the digital era, banks had long memories, and digital records have only made them longer. As a result, any bad history you have with Chase — or any of its affiliates or subsidies — can reportedly get you placed on the “blacklist,” a distinction that reportedly leads to instant rejection of any credit card applications you make with the bank. Your current credit limits: The same way Chase may deny your credit card application if your income isn’t suitable for the card’s credit line, so, too, can you be denied if you already have as much credit as the bank is willing to extend to you. For example, if you have three Chase cards, each with a $5,000 limit, you may be denied a fourth card because Chase doesn’t want to extend more than $15,000 in total credit. In some cases, shifting spending power from one card to the new card can overcome this limitation. As you can see, even if you have excellent credit scores and a spotless history, you could still wind up with a denial when you apply for the Chase Freedom Unlimited®. If you’re concerned about your approval chances, you can potentially save yourself a wasted hard inquiry by checking for pre-qualification offers. Pre-qualification uses a soft credit inquiry that won’t hurt your credit scores to give you an idea of which cards, if any, for which you likely have the best approval chances. Keep in mind that pre-qualification through the dedicated page may not consider 5/24, though pre-approved offers that appear in your Chase online banking account may bypass 5/24. Although it can seem a bit like Chase requires you to jump through hoops to get approved for the Chase Freedom Unlimited®, a little hoop jumping may be well worth it for users who can take full advantage of the card’s perks and rewards. To start, the Chase Freedom Unlimited® offers a flat rewards rate of 1.5% cash back on every new card purchase, with no categories to activate or track like the Chase Freedom® requires. This makes the Chase Freedom Unlimited® a good pick for purchases that don’t fall into common bonus categories or that may exceed the spending cap that many bonus rewards cards have in place. For cardholders who also have a card that earns Chase Ultimate Rewards® points, the Chase Freedom Unlimited® can become even more valuable thanks to the fact that you can transfer your cash back rewards to your Ultimate Rewards® account at a fantastic rate of 1X point per every 1¢ of cash back. This effectively means the Chase Freedom Unlimited® can earn 1.5X Ultimate Rewards® point per dollar on every purchase. And don’t worry about needing to earn enough rewards to break even on some expensive annual fee — because there isn’t one. The Chase Freedom Unlimited® has no annual fee, ever, so your rewards are basically pure profit as long as you make sure you never have to pay interest. Of course, with the card’s long 0% introductory interest rate offer, you shouldn’t have to worry about interest fees for quite a while. The intro-APR deal applies to both new purchases and balance transfers (balance transfer fee applies). Even after your promotional offer expires, the 21-day grace period gives you plenty of time to pay your balance in full to avoid interest fees. Depending on how you plan to use your Chase Freedom Unlimited®, getting approved may be just one part of the process. For cardholders who want a useful everyday card or to take advantage of the long introductory APR offer, the initial credit limit may be as important as — if not more so than — getting approved in the first place. As with getting approved, however, the credit limit you’re initially offered will depend on a number of factors, including your credit profile, your income, and your existing credit lines. Anecdotal evidence suggests that Chase puts a high premium on having a long credit history, with the best limits going to those cardholders with the longest histories. According to the terms and conditions for the Chase Freedom Unlimited®, you could wind up with either the Visa Platinum® account, you’ll receive a minimum credit limit of $500, with a potential limit of up to $4,999. If you qualify for the Visa Signature® version of the Chase Freedom Unlimited®, you’ll receive a credit limit of at least $5,000. In other words, the bare minimum credit limit Chase offers for the Chase Freedom Unlimited® is $500, so you’ll go in knowing that approval should net you at least that much spending power. However, beyond the minimum, there’s a lot of variance in credit limits. The average reviewer seems to receive the Platinum version, with a credit limit between $3,000 and $5,000. But, credit limits can easily reach four or five times that amount, and reports of credit limits north of the $20,000 mark are not uncommon. If you’re unhappy with your starting credit limit, don’t fret — you’re probably not stuck with that low limit. As with most major credit card issuers, Chase will automatically increase your credit limit over time so long as you use your card regularly and keep your account in good standing. For those who’d rather not wait around for an unsolicited increase, Chase also allows you to request a credit limit increase directly. Keep in mind that Chase reportedly performs a hard credit pull when you request an increase (unsolicited increases use a soft pull). If you’re denied a credit limit increase but have other open Chase credit card accounts, you may be able to reallocate some of your credit from another card to your Chase Freedom Unlimited®. This may be a good idea in caseswhen you really need a larger limit, such as taking advantage of the intro-APR offer for a large purchase or balance transfer. When you apply for a credit card, you’ll get one of three responses. You’ll either be instantly approved, instantly denied, or — sometimes considered to be the worst of all — the dreaded pending notice. In either of the latter cases, you may have some recourse through reconsideration. As its name implies, credit card reconsideration involves contacting Chase and asking for your application to be, wait for it, reconsidered. This typically involves an actual human — rather than a computer algorithm — going through your application to see if the computer made a mistake. The success you have with reconsideration will depend entirely on the reason you were denied a card in the first place. Anecdotal reports seem to agree that it is fairly common to get an approval from Chase after calling reconsideration in a number of situations, though some denials are set in stone. For example, a common reason for being denied a new Chase card is having too many recent inquiries. Using reconsideration to provide a reasonable explanation for those inquiries — one that doesn’t suggest an intent to take on lots of debt — can help get your application approved. However, if you were denied due to being over the 5/24 limit, any attempt at reconsideration will most likely fail. The main exception here is if you are only over the limit due to being an authorized user on someone else’s credit account; in that case, reconsideration may work. If you intend to contact the reconsideration line, be sure to follow the basic rules of dealing with customer service, the foremost of which is: Always be polite! The representative on the other end of the line isn’t your enemy, so don’t treat them like one. Moreover, being rude now could bite you in the future. Remember, banks have long memories. You should also be prepared. Know your credit scores and be familiar with your credit reports so you can speak knowledgeably about any issues that may have caused your application to be denied. And make sure you have a good reason for why your application should be approved despite those issues — and no, wanting to score a sweet signup bonus is generally not considered to be a good reason. If, despite all of your best efforts, you simply can’t get approved for a Chase Freedom Unlimited®, you may have to throw in the towel and find another card. On the bright side, the credit card market is full of great cash back cards that offer the same unlimited 1.5% rate that makes the Chase Freedom Unlimited® so useful. Even better, most of those cards won’t be subject to the finicky requirements of a Chase card — meaning there’s no silly 5/24 Rule or other harsh restrictions. Or, if you were turned down for the Chase Freedom Unlimited® because your credit scores are just a bit too low, you can find a few cards for consumers with fair credit that will let you build credit and earn rewards at the same time. Although the average American only has 2.5 cards, most of us who chase credit card rewards will be well past the 5/24 limit at any given time. Since this puts the Chase Freedom Unlimited® out of reach, those of us over the limit will have to turn to other issuers to sate our desire for unlimited cash back. Luckily, nearly every major credit card issuer offers at least one card that provides 1.5% cash back — or higher — making it easy to find a solid alternative. Plus, many of these cards offer the same perks as the Chase Freedom Unlimited®, including an introductory APR offer and no annual fee. Earn cash back twice on every purchase with unlimited 1% cash back when you buy, plus an additional 1% cash back as you pay for those purchases. No categories to track and no caps on cash back. Overall, Chase is considered to have fairly high credit standards, and the bank doesn’t offer any starter or secured cards to help customers build credit. Indeed, the Chase Freedom Unlimited® and the Chase Freedom® are generally considered to be the easiest Chase cards to get. So, if your credit isn’t quite good enough to qualify for a Chase Freedom Unlimited®, you’ll need to look outside Chase for a new credit card. 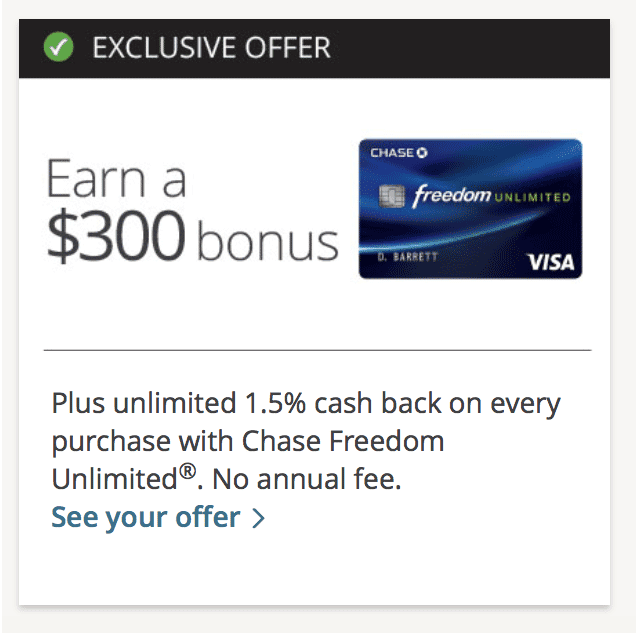 This doesn’t mean you have to forfeit all of the benefits of the Chase Freedom Unlimited®, however. You can find fair-credit cards that earn purchase rewards and offer other great perks, including our card picks below. 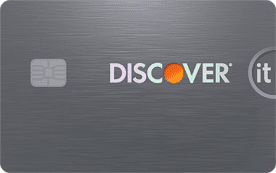 The Chase Freedom Unlimited® is a card found on many lists of top rewards credit cards, and with good reason. When used wisely, the card can offer a lot of value — and all without paying an annual fee. 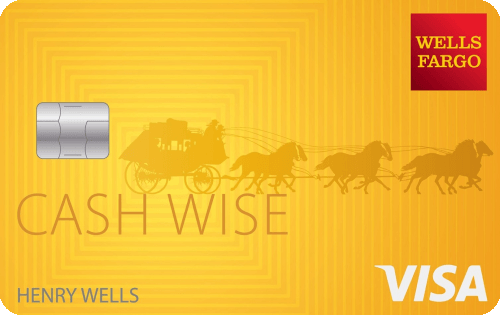 But, the Chase Freedom Unlimited® isn’t the easiest card to get. Consumers without at least fair credit are pretty much out of luck, and even excellent credit may not be enough if you have too many recent new accounts.